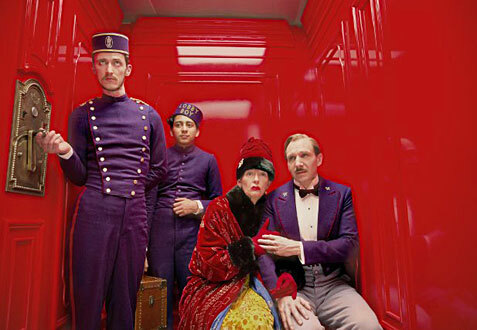 At this point in Wes Anderson’s career, you either like his movies or you don’t, which is good news for fans of the eccentric director, because “The Grand Budapest Hotel” is very much a case of more of the same. You know what to expect when watching one of Anderson’s films, and his latest doesn’t disappoint, overflowing with colorful characters, zany plot twists and sublime production design. It’s also considerably darker than some of his past work, though Anderson’s trademark whimsy still bleeds through, resulting in a movie that, while hardly among his greatest achievements, proves yet again why he’s one of the best and most original directors around. The movie is a bit like a Russian nesting doll in that it’s designed as a story within a story within a story, opening on a young girl reading a book about the titular hotel that was written by an unnamed author, portrayed at various ages by Tom Wilkinson in a brief 1985 flashback and Jude Law in 1968. It’s during the latter period that the author resided at the once-majestic Grand Budapest Hotel and learned of how its enigmatic owner, Zero Moustafa (F. Murray Abraham), came into its possession. And this is where the story truly begins, as Moustafa then recounts his early days working as a lobby boy (played by Tony Revolori) at the hotel under the guidance of charismatic concierge Gustave H. (Ralph Fiennes), a man whose expert hospitality extends to sexual favors for the old and wealthy female clientele. When one such guest (an aged-up Tilda Swinton) dies and leaves Gustave a priceless painting in exchange for years of companionship, the woman’s eldest son (Adrien Brody) frames him for her murder, forcing Gustave and Zero to go on the run until they can prove his innocence. Where “The Grand Budapest Hotel” makes up for those shortcomings is with the pitch-perfect casting of Ralph Fiennes as Gustave H., by far one of the most memorable characters that Anderson has ever created, and that’s saying quite a lot. Fiennes is absolutely hilarious as the sweet and sour concierge, boasting impeccable comic timing and once again demonstrating that he’s unparalleled in the art of profanity. Newcomer Tony Revolori holds his own alongside the Oscar nominee, but the rest of the supporting characters (played by Anderson’s ever-growing company of actors) aren’t nearly as interesting, so much so that the movie starts to drag whenever the action shifts away from the exploits of Gustave and Zero. Anderson has always been obsessed with the little details, and that really shines through in the presentation of the film. 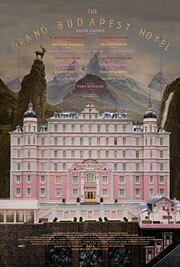 Similar to “The Royal Tenenbaums” in that the movie is divided into chapters, Anderson goes one step further by filming each timeline in a different aspect ratio, with the 1930s portion of the story appropriately shot in the classic Hollywood standard 1.33:1 ratio. Known for his elaborate visuals, this decision could have been very restrictive on his style, but instead, the director’s typically excellent production design rises to the challenge, using old-school tricks such as miniatures and matte backgrounds that give a hand-crafted, painterly quality to the movie. It’s details like this that make his films so unique, and much like a piece of art, you’ll likely only grow to admire “The Grand Budapest Hotel” more with every viewing.